Since 1997: Therapeutic Grade Essential Oils, Diffusers, Aromatherapy Jewelry and Gifts, Massage Oils and Lotions, Bath Salts, Aromatherapy Blends. Wholesale, Retail and Practitioner Discounts. Personal service, private labeling, custom blends. 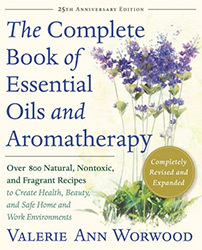 The essential oils distilled from natural botanicals like citronella, lavender and eucalyptus can help to deter insects. I love spending time outdoors, especially in the warmer months, but mosquitoes and other flying/biting insects can ruin the best of outdoor occasions. Synthetic insect repellents are known to cause irritation and sensitivity in some people, are considered toxic and can be potentially harmful to the environment. This more natural insect repellent recipe only requires a few reasonably priced essential oils and other ingredients, has a pleasant aroma, and can be helpful in deterring insects. Of course, your particular usage and body chemistry can potentially affect your results. Therefore, there's no guarantee that you still won't get bit. Do a skin patch test before fully using it. 4 oz. clean spray bottle with a fine mist setting (do not use a bottle that previously contained cleaning products or hair products such as hair spray). 1.5 fl. ounces of distilled water and 1.5 fl. ounces of high-proof alcohol (vodka is suitable, isopropyl or rubbing alcohol is not). Alternatively, you may omit the alcohol and increase the amount of distilled water to 3 fl. ounces. Combine the essential oils and solubilizer, following your supplier's instructions and then add to the spray bottle. Screw on the sprayer top and then shake well. Shake the bottle before each use. Essential oils do not fully dissolve in water and alcohol, so be sure that you use a solubilizer. Mist onto your skin and clothing and reapply as necessary. Discontinue use if you feel sensitivity from the repellent. Be careful not to mist delicate fabrics or surrounding furniture that may be harmed by the ingredients in the repellent. Be especially careful not to allow the mist fall into open beverages. Everyone and every situation is different. Although this recipe has worked well for me over many summers, there is no guarantee that this recipe will prevent you or other users from being bitten by insects and it hasn't been scientifically tested for effectiveness. You assume all responsibility for trying or modifying this recipe and seeing if it works for your particular needs. This recipe has not been tested for the prevention of ticks or their bites.